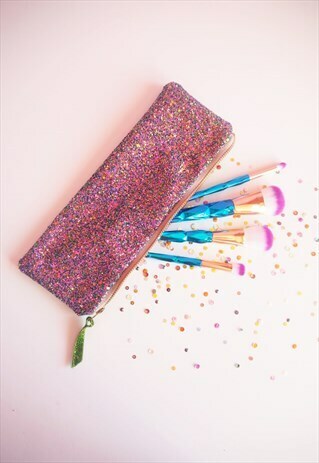 This sparkly purple makeup brush holder is made out of a glitter covered sturdy spandex and would be the perfect gift for both young girls and adults. 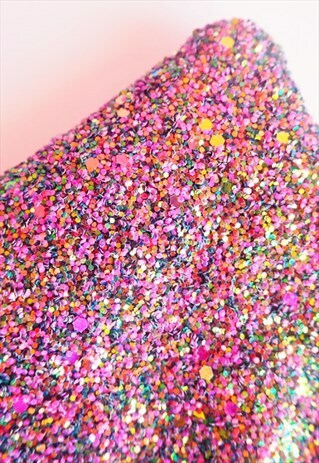 This shade has a purple glitter base with a shimmer of green, brown, gold and rose gold glitter. Each makeup brush holder comes with a beige YKK zip with gold teeth and measures about 10" x 3.5". These would make stunning gifts for all ages. 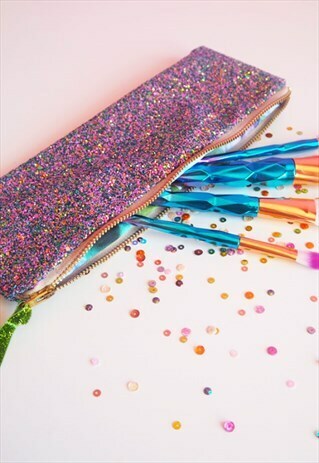 All cases also have a sparkly ribbon attached to the zip. The inside is a colourful floral printed cotton. Each case will come gift wrapped in tissue paper.